It's Friday. Finally. Having the girls sick and then getting sick on top of that has made for a very long week. So thankful it is Friday. One. I am super excited for this weekend...but I need to kick this sore throat first. I am loading up on the lozenges, DayQuil, drinking lots of water and tea and hoping it leaves me alone. It gets better by the day, but it needs to go away. Go away cold, no one wants you. And Sutton's cough hasn't gotten much better so we are going to take her into her pediatrician to make sure she doesn't need antibiotics and that it isn't something more than a cold. She sounds like she is getting better and her breathing is better, but the cough is still there. Two. A few of you have asked how my recovery from surgery is going and I can say that it has been pretty awesome. I did have a bit of a scare after flying home with Sutton from Mexico and her jumping around on my belly, but thankfully the pain has disappeared. Here is my progress so far...don't mind the selfies. As you can see my scar is sooo much smaller, lighter and is healing so well. I do use the silicone strips on it daily (mine last for 6 weeks per strip), so that has helped. Along with massaging the scar. But the biggest change is my abs are flatter. It is hard to see in these photos, but prior to surgery I looked like I was 4 to 5 month pregnant because I had a 3 1/2 inch gap between my abs. Now they are sewn shut and look so much better. My belly button is finally in and looks closer to what it did prior to having the girls. And I am pain free. I have most of the feeling back in my stomach (cutting through nerves takes time to heal just like it did with a c-section) and would do this surgery over and over again. My doctor rocked this one and I would recommend him and this surgery to anyone. Three. We got our family photos back and I am in love. They turned out amazing! Our outfits look good together, the girls smiled for some of the photos, the scenery was beautiful, I got a new blog picture out of it and the overcast weather made for the perfect lighting. I can't wait to share them with you next week. In the meantime, here is another sneak peak. Four. I want to make these muffins this weekend. Lindsay over at Lindsay's Sweet World said she and her children made them and they loved them. 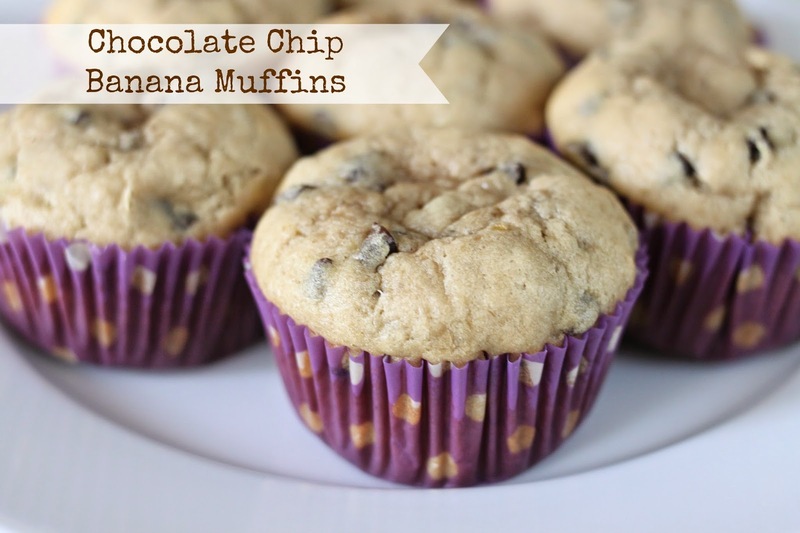 My girls love muffins and it is an easy way for me to sneak fruits and veggies into them. I will not be adding the peanut butter this time as my girls have yet to try peanut butter. Why you ask? My father-in-law is extremely allergic and we worry that my girls could have inherited the peanut allergy. Most likely not, but we need to test it on their hand first, then let them try it for a few days and see what happens. So for now, we will skip the peanut butter which was just added for some extra protein. Five. Mother's Day is Sunday and I can't wait for all the family time we have this weekend. The girls, Rory and I get to spend Saturday afternoon with my parents and then Saturday evening with my in-laws (including my sister-in-law and her husband and my aunt-in-law). Then Sunday we are having a family brunch with my in-laws and then time with just my family. What are your Mother's Day plans? Have a good weekend and don't forget to link up. Wow girl! your surgeon did an amazing job! What a difference. I'm so happy for you. I LOVE that family picture. Adorable! I hope you have a wonderful Mother's Day! You deserve it. Thank you. I am in love with our family photos. It is so hard to get my girls to smile at the same time. We did get a few of them though. And I have some when I am throwing Sutton in the air and she is laughing so hard. Definitely a favorite. You enjoy your Mother's Day as well! Your family picture is beautiful! Thank you. I hope you enjoy your Mother's Day weekend as well! You look so good! 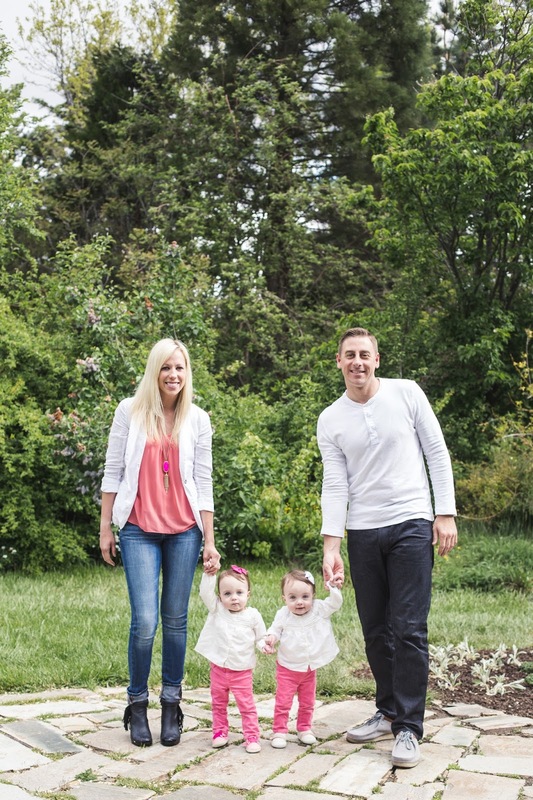 And the family photos... love. I need to do more muffins for E. Have a wonderful mother's day friend. Thank you so much. I am in love with the photos too! We are getting a bit canvas done with these. You have a wonderful Mother's Day weekend too!!! That picture of all of you together! I'm dying! Thank you. I hope you enjoy your weekend as well! ok now I really need to get myself in to get my surgery!! I just keep being scared about it... and the last time I went to a general surgeon, I need to look up a plastic surgeon so my abs can be sewed together as well. your family pictures turning out so cute!! You should go get your hernia checked out. And your abs too. It is a scary process, but it is so worth it. I would do it over and over again to have these results. My scar will be so minimal and I have an innie again so I am beyond happy with my results. Girl, your belly button is looking fantastic! Now I want to have surgery, too. Haha. Your family pics are soooo good. That picture of the girls is darling... are they holding hands? So sweet! And yes, those muffins were so delicious. We didn't add the peanut butter either and they were great without it. Neither of our kids are allergic, but Jacob and I don't really care for it that much. Gosh, I hope the girls aren't allergic. That is so scary to even think about. Thank you Lindsay! They aren't holding hands, but they are close to. They go everywhere together and follow each other. So sweet. I really hope the girls aren't allergic either. I would hate for them not to have peanut butter (or any nut butter) and jelly sandwiches and things like that. Thank you so much! I will be sharing more next week! Love the family photo! And I want to make those muffins! Thank you. I didn't get a chance to make the muffins this weekend as I was sick, so hoping to this weekend! Thank you! Hope your trip was amazing!